Experimente um dos momentos mais verdadeiramente venezianos com um passeio de gôndola de 30 minutos. Veja a beleza desta cidade única a partir da perspectiva de seu símbolo mais icônico enquanto você desliza pelos canais em uma gôndola. Veja os lugares escondidos acessíveis somente por gôndola, pois você tem um ponto de vista totalmente diferente do que com um passeio a pé. enjoyed the gondola ride more than i imagined. it was very easy to find and organized well. the scenery was beautiful and the whole experience was very serene. 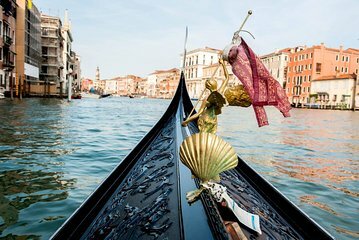 Don't take this tour if you want to enjoy a gondola ride with your love one and also learn some history of the channels in Venice. This tour herds you in the boats like cattle (6 to a boat) and you not guaranteed to seat close to your love one which makes it in possible to take pictures together. Plus the conductor of the gondola is silent. 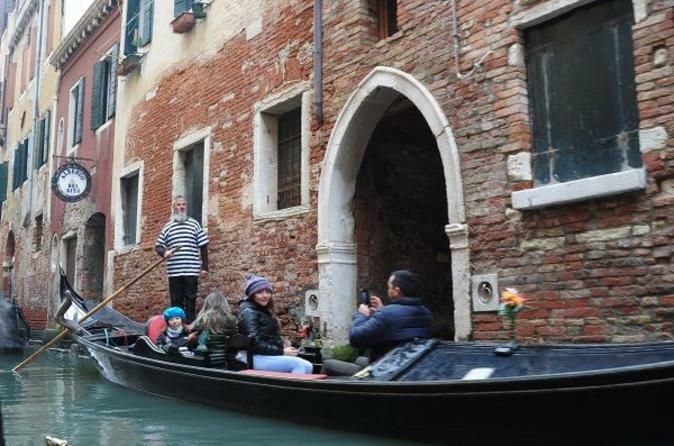 Do it right and just get a personal gondola ride. I knew ahead that we would share the ride however in hind sight wish I just did the personal ride. After searching for an hour... we could not find it and no one ever heard of it! RIP OFF... DO NOT BUY. You can easliy get in line ...they are short and you pay the same thing. We went to 3 different Gondala places easy to find and still no one heard of them. So disappointed! Totally different processes with When I booked via Viator company, All employees so rude, not kind. Very good, basic gondola ride. Nice way to get a feel for the canals and Venice. If it were me, I would have tried to interact with the riders however the gondolier did not at all.